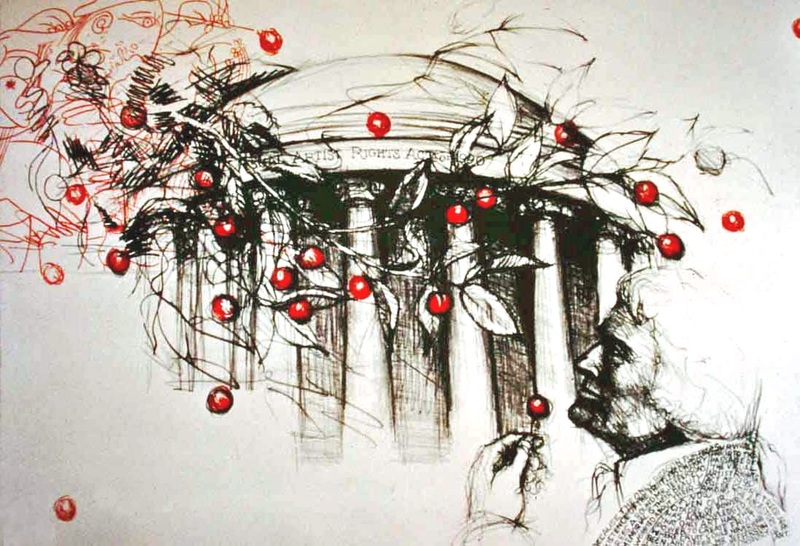 “A Cherry Tree for Mr. Jefferson” 1990, drawing for The Visual Artists Rights Act of 1990. ​The Visual Artists Rights Act of 1990 (VARA) on Capitol Hill, Washington, DC. MIT CAVS fellow, 1973-74, under György Kepes, founder of the Center for Advanced Visual Studies at MIT. 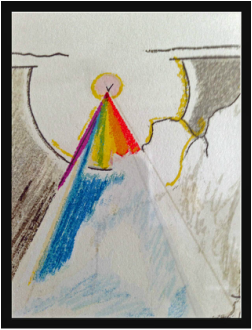 The Center for Advanced Visual Studies (CAVS) brought together artists with scientists at MIT to encourage innovation. MIT Center for Advanced Visual Studies Special Collection, CAVS Digital Collection 2018, Rockne Krebs. Pacific Radio Archives, 1971, broadcast Feb. 1971 and July 1971. Art and Technology / Clare Spark. The Miami Line, 1984 Artworks: Light Art. CutureNOW Art in the Public Realm. The Roy Lichtenstein Foundation, film/video database of The Program for Art on Film, www.artfilm.com . Science Friday, National Public Radio, August 21, 2015. Museum Plays Art and Technology Matchmaker. Spectacle, by Roy Osborne, 1998. Color Academy, UK.